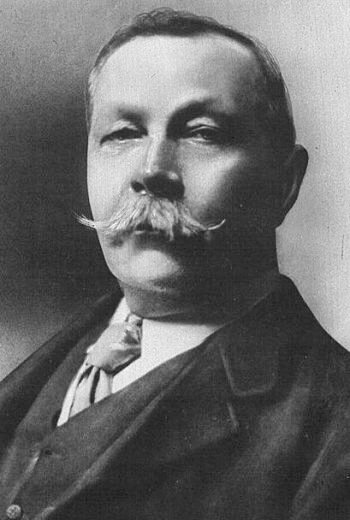 Sir Arthur Conan Doyle (22 May 1859 – 7 July 1930) was a Scottish novelist, short story writer, poet and physician. He was a prolific writer that was able to master many genres: fantasy, science fiction, short stories, romances, plays, poetry, and historical non-fiction novels. He is most famous for his Sherlock Holmes stories, which we feature in Mystery Stories, and for the science fiction adventures of Professor Challenger, including The Lost World. 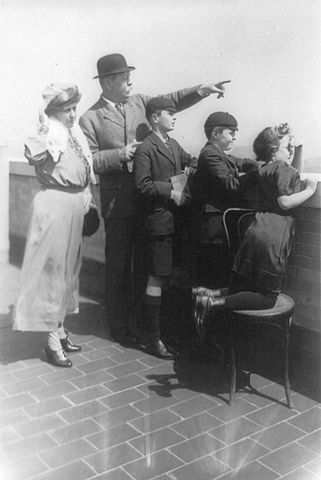 Born in Edinburgh, Scotland on May 22, 1859, Doyle seems to have enjoyed a comfortable childhood; his education benefited from the financial support from wealthy uncles. He studied at a Jesuit preparatory school, Stonyhurst College (1871 - 1875), and then spent a year at a Jesuit school in Austria. From 1876 to 1881, he studied medicine at the University of Edinburgh. It was during this period that he started to write short stories. His initial efforts were rejected for publication. The Mystery of Sasassa Valley was accepted for publication and appeared in September, 1879. His medical practice was not without difficulty. An early partnership dissolved and it was with scant funds that he moved to independent practice in Southsea. The practice was off to a slow start, so Doyle began writing again while waiting for patients. "It is most certainly to you that I owe Sherlock Holmes... round the centre of deduction and inference and observation which I have heard you inculcate I have tried to build up a man." 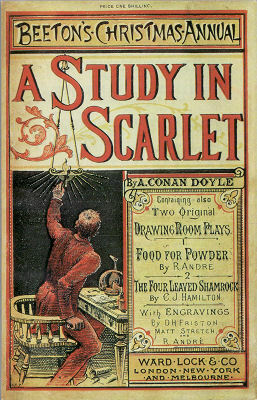 After providing a sequel to A Study in Scarlet as required by his publisher contract, Doyle promptly left the publisher feeling that they had taken advantage of him. His stories that followed appeared in Strand Magazine . Dolyle married Louisa Hawkins in 1885. She suffered from tuberculosis and died in 1906. In 1907 Doyle married Jean Elizabeth Leckie. He had met and fallen in love with Leckin in 1897, but out of respect to his first wife had maintained a strictly platonic relationship while Louisa was living. As his career progressed, Doyle felt the need to "kill off" the Sherlock Holmes character so that he would be free to write about other things. After having Sherlock Holmes seemingly plunge to his death in The Final Problem the public outcry was so great that Doyle felt compelled to bring the character back in 1901 in The Hound of the Baskervilles.